May 10, 2016, 3:54 p.m. May 10, 2016, 3:54 p.m.
Gone are the days when tradesmen used to scout around the cities in distinctive white vans. The vans of the modern days are luxurious and comfortable, and povide extensive carrying and storage capacity. Numerous businessmen rely on the new age vans to operate their business on a daily basis. Below is a list of the top vans for tradesmen of the UK market the consumers are raving about. 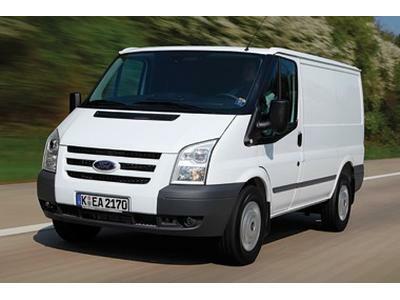 The new Ford Transit connect is a reliable and practical business van for tradesmen. One can choose from two wheelbase versions, the short one or L1 which offers a load space of 2.9cu.m and the long one or L2, with a load space of 3.6cu.m up to a maximum of 1000 kgs of cargo. Apart from other kinds of cargo, one can load ladders and pipes upto 3.4m long in this vehicle. The Kombi Versions and the Double Cab in Van allows the driver to carry up to seven passengers in the vehicle. There is a separate cargo door at the rear and a sliding side load door for easy cargo loading and unloading. The award winning heavy duty Vauxhall Movano has a wide range of models such as crew cab, chassis cab, double cab, panel vans, tippers, platform cab, box vans, dropsides and with windows. One can now choose from front wheel drive or a real wheel one. Loading is exceptionally convenient with the rear doors which can open up to 180 degrees. The ergonomics of Vauxhall Movano is excellent and the driver’s seat as well as the steering wheel can be adjusted. What makes this van for tradesmen stand out is it’s comfort and flexible manoeuvring. With this van, loading and unloading has never been easier. There are a couple of cab variants with three wheelbases, four kinds of various platform lengths and two kinds of platform widths. The customers can choose from a selection of dropsides too. The load area of this van ranges from 5.8 to 9.1 metre square with a maximum load of 2542 kgs. Mercedez Benz Mobilo van for tradesmen provides a lifetime guarantee (upto a maximum of 30 years) of mobility if serviced by an authorized repairer of the manufacturer. This sixth generation van for tradesmen provides superior safety and comfort and an array of flexible options of the panel van which is available in various sizes. The low roof and short wheelbase can carry 1331 kgs, with a maximum height of 1410 mm and length of 2572mm. The high roof and long wheelbase can carry a height of 1940mm and length of 2975mm. There are a variety of seating options too. The Volkswagon Transporter comes with Bluetooth, DAB radio and a touch screen display on all its models. The Volkswagen Roadside assistance offers a three years unlimited mileage, across UK and most of the continent. The Fiat Ducato offers lower maintenance costs than most large vans for tradesmen. This vehicle is fitted with 2.3 litre and 3 litre turbo diesels. The 2.3 model offers between 110 bhp and 148 bhp while the 3 litre offers upto 177 bhp. The servicing interval is 30,000 for every two years which is a bonus. The Fiat Ducato shares it’s design with the Citroen Relay and the Peugeot Boxer. The Renault master is one of the excellent vans for tradesmen available in various models such as a crew cab, van, platform cab, dual cab, chassis cab and drop side flatbed. One can choose from roof bars and roof rack, wooden flooring, lashing rings, towbar and opening doors which open 270 degrees. The Renault Master has numerous storage facilities, an adjustable driving position, sound proofing and climate control system. One special feature is the ESP or the Electronic Stability Programme which offers a superior road manoeuvring and safety. The Peugeot Partner comes in both petrol and diesel versions as well as an electric version as well. This van is equipped with an efficient engine, bumper, grille, headlights and a system of daytime running lights. The interior has an USB and Bluetooth connectivity system completed with a touch screen panel. The van can hold load from 625kgs to 890 kgs with a height of 1834mm. The length of the van stretches from 1800mm to 2050mm. The Partner comes with parking assistance which includes a rear parking camera and a front parking aid. Although the Nissan Navara is a slightly expensive vehicle, it provides lots of space in the load bed as well as the cab. The low ratio gear box makes it good for off roads too. This attractive van can be considered as one of the best double cab 4x4 pick ups available in the UK market. The Nissan Navara is heavy and attractive in it’s looks. The Relay offers optimum fuel efficiency along with top notch technical and safety features. The Citroen Relay has a wide array of choices between three heights and four lengths, ranging from chassis cabs, panel vans and chassis crew cabs. The load volume ranges from 8 to 17 cubic metres. The swing door at the rear can open upto 270 degrees. These vans for tradesmen are equipped with high mounted rear and daytime lights, large door mirrors and wide rubbing strips which minimize the chances of accident and repair work. These vans for tradesmen comes with an option of single or double cab configuration and offers a five year warranty. The 3.5 towing capacity completed with a over 1000 kg load capacity makes it pretty impressive. A comparatively smaller size makes the Isuzu DMax easy to be driven around. With such a wide variety of vans for tradesmen available in the UK market, finding the best van can be quite a daunting task. The best way to make the selection is to first note down your specific commercial needs after which a short listing can be done whose options can be further sifted to make the ultimate choice.